Hey guys, i currently own a ball python, a RTB and a sunbeam snake which are all housed in a sterelite plastic draw rack. I want to make a new bigger rack that can house snakes such as the ones described as I am planning to buy more. I've tried to find cheap racks at expos, craigslist etc. but have had no luck as they all run up 2-300 dollars. So now I ask you, how can i make a rack for under 100 dollars? 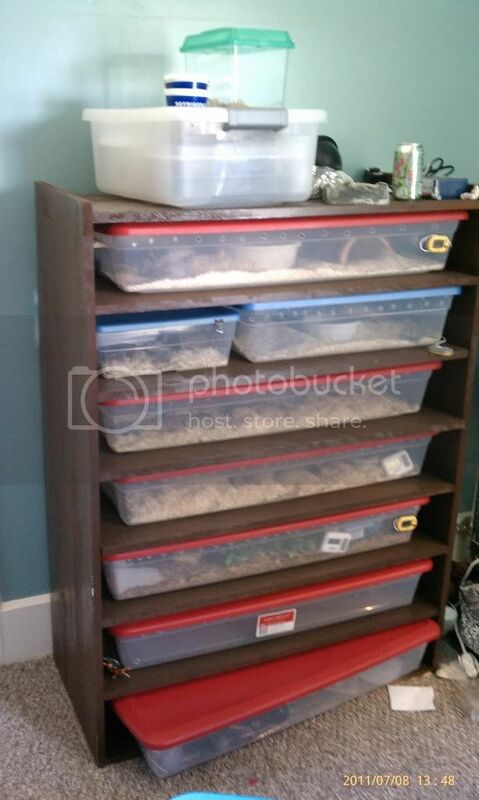 Heya, i made a snake rack for some hatchlings, but it could be easilly adapted for adults, it's newly put in this section as "DIY Hatchling Rack on a Budget! 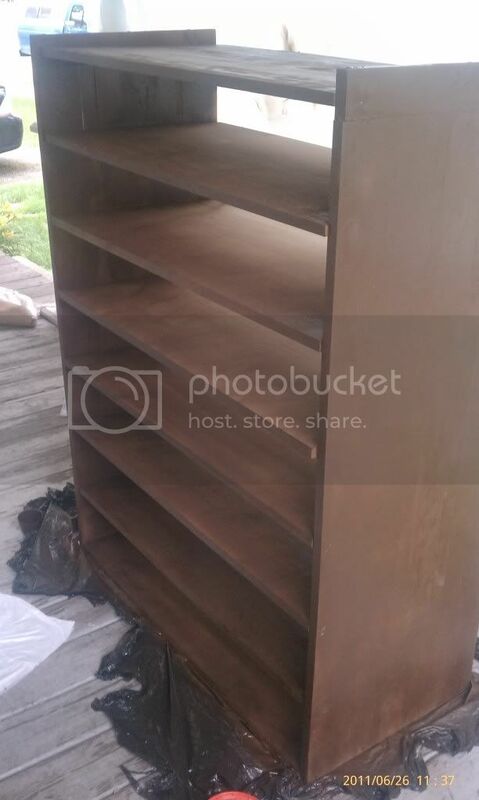 (Photos)"
Honestly ive built reptile racks before and they are good but not great, not that im not good at constructing stuff but you just cant get the quality of a professional rack. 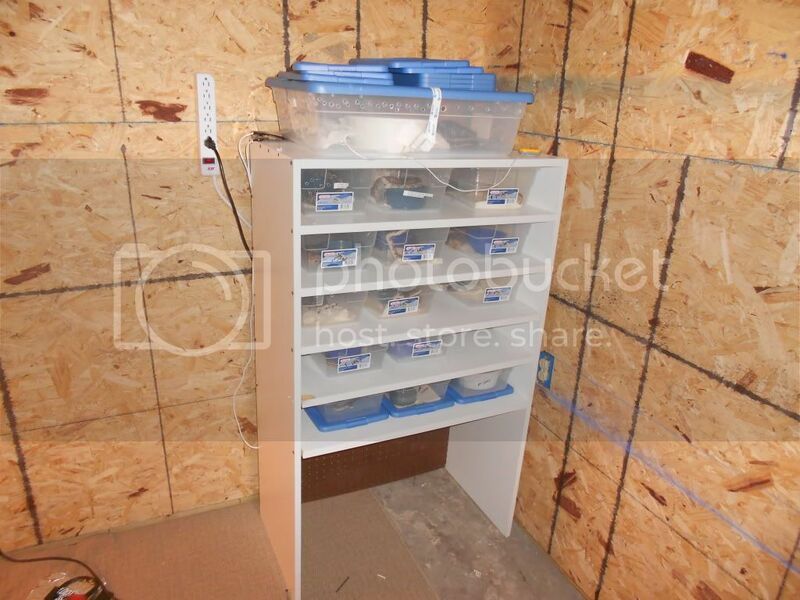 i bought an animal plastics cb70 10 tub rack off a facebook forum for 320$. it seems like alot to spend but once you get it and see all the options it has and the quality you will be very happy you invested in it. It will definatly pay off to spend that little extra cash to get quality equipment for your animals. not to argue with Orange Ghost, but professional ones are overpriced, yes they are very nice looking, but my chipped up one that looks like a baby did it, works just as well. i have a hatchling rack, and an adult rack (no longer in use) and each one costed less than $100. this is my old one, it was made out of aspen boards and painted brown. 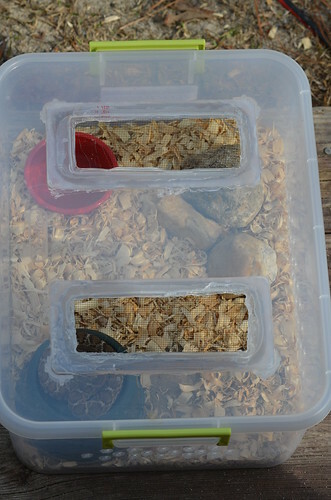 adult rack with tubs in it.. i used lids because the humidity would warp the boards..
hatchling rack. this is the begining of it. It's really not that hard to do... im sure your dad, brother, or someone you know has tools you can use, OR all you need is a decent power drill.. most hard ware stores will cut the wood to your needs for free. i used heat tape for the heat sorce, for the adult racks i had 11'' down the back, providing back heat..
http://www.facebook.com/DeesBalls Stop by and check out my page! pics daily, and eventually will have sales! My husband and I are building a rack. We are using melamine, and it has 7 shelves with space for 2 41qt tubs on each shelf (so 14 tubs total). The materials to build the rack cost us just about $100, and it is coming out pretty good. It is almost finished, but I don't have pictures yet. It is a BEAST though, heavy sucker. Add in the cost of heat tape and thermostat, and our total cost (not including tubs) comes out to almost $300. That cost can vary though depending on what you do for heat and what thermostat(s) you buy. Why go rack? The racks to me are more beneficial when working with large numbers of snakes. 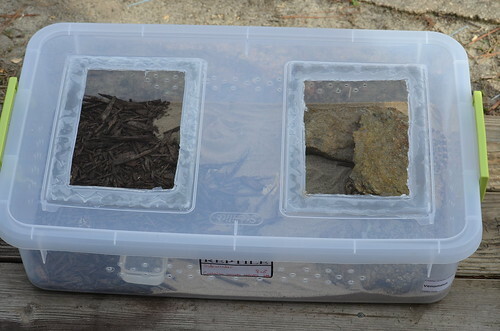 With so few Id say use the sterilites with lids and just deck them out on the inside with cool structures and hides.. I cut the two large holes in the tops of mine and add screening for better air flow. I spend 5 bucks on the smaller and hot size sterilite. And 7 on the 10gallon size. Screen is cheap at any hardware store and I use a hot glue gun to attatch the screen. I make sure to cover the edges of the screen completely with the glue so no sharp edges are exposed. I house young to medium sized crotalids in these containers. I also use a saudering iron for air hole along all 4 sides.